In Trans-Krusz we specialize in transporting and loading waste. We offer a complete range of services, including that of providing containers. We guarantee the compliance of the transport conditions with the applicable provisions of the law. Thanks to the perfect organization of work, combined with the expertise of our personnel, it is possible for us to fulfil the tasks that we are entrusted with in the shortest possible time – always meeting the agreed deadlines. The company’s fleet comprises several dozen vehicles, including, primarily, the vehicles with the semi-trailers of the walking-floor, tipper and hooklift types. We ensure fast and efficient transport and the unloading of any volume of waste. In our fleet there are walking floors which are unique on the Polish market, with side doors offering to us much greater possibilities of loading goods. Thanks to the services of loading waste we minimize the time and the costs of the disposal of the waste, and that translates itself into real savings for our Customers. The loading of waste is conducted in safe conditions, according to the applicable provisions of the law and with the use of professional equipment. We also provide containers which are needed for the direct collection and the disposal of waste. If you plan to conduct works as a result of which some waste or sediments will be produced which will need to be disposed of, we invite you to order a container well in advance. 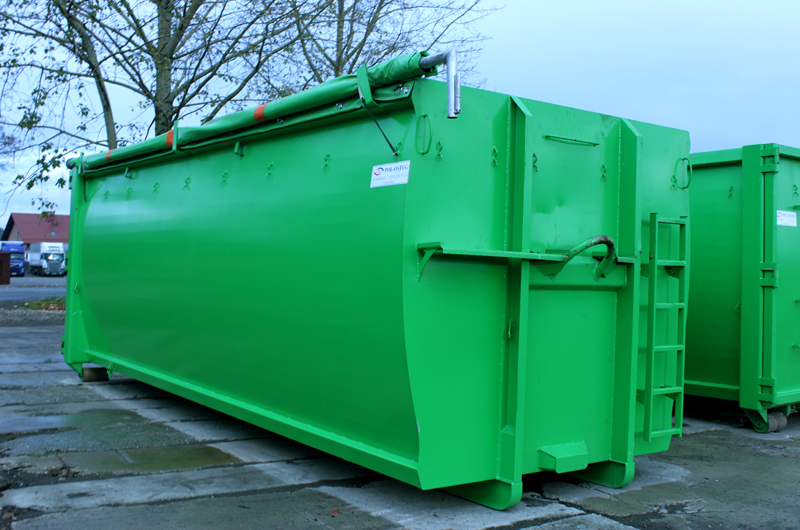 In such a container you will be able to deposit the produced waste. By establishing cooperation with us you will be able to avoid the piling up of waste and you will also increase the safety of the persons employed in the process of conducting works. Also, the time needed for the disposal of waste will be significantly reduced.